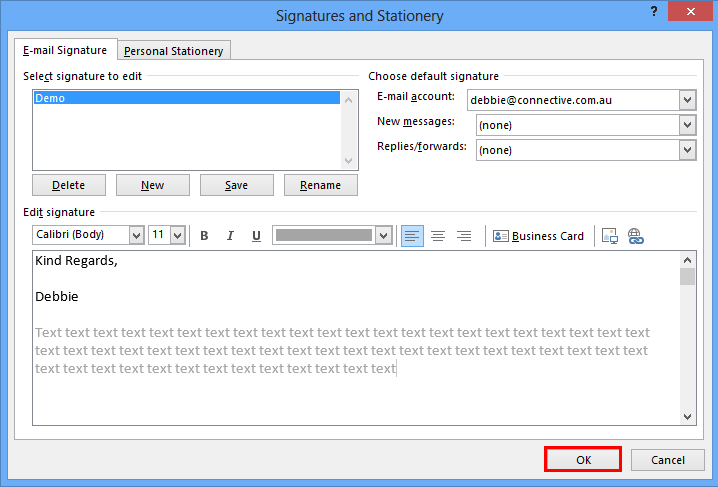 For compliance reasons, you may be required to include certain text within your email signature. 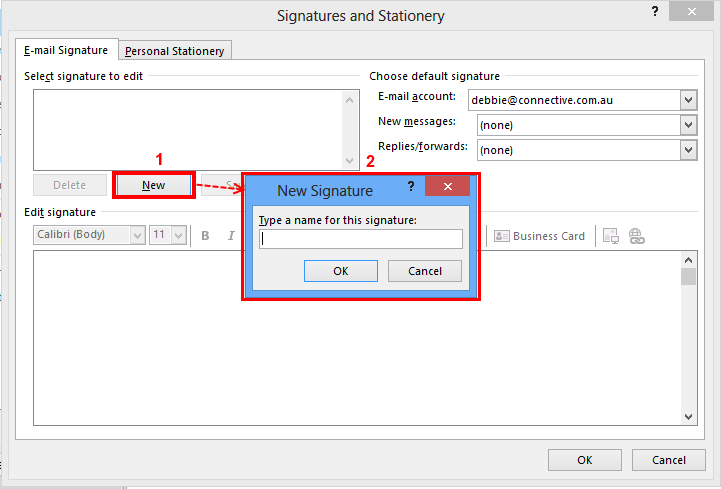 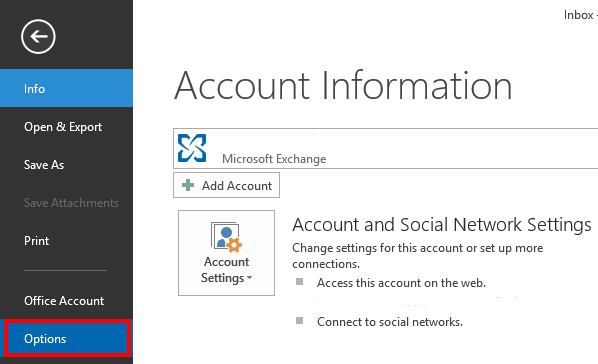 Here you can learn how to create or edit your signature in Outlook 2010 / 2013. 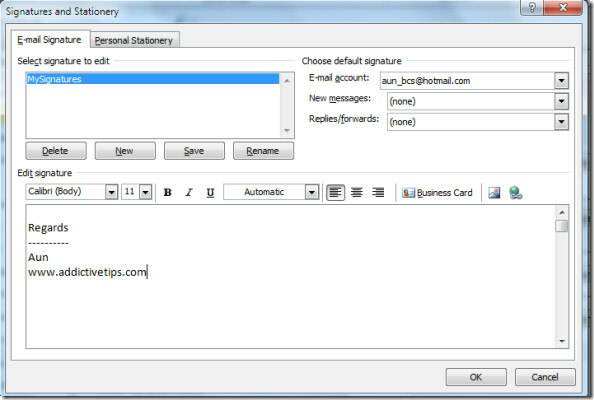 Or to learn how to edit your email signature in Mercury, click here. 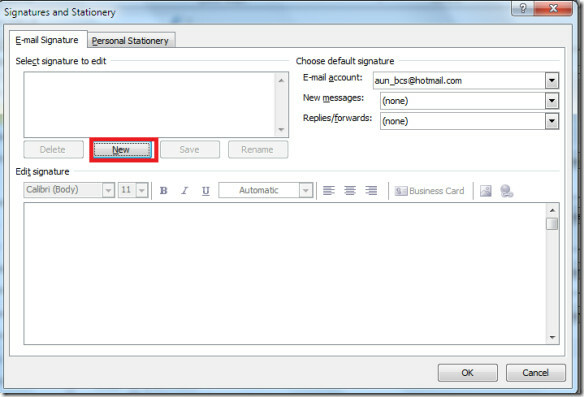 This signature will now appear at the bottom of every email you create. 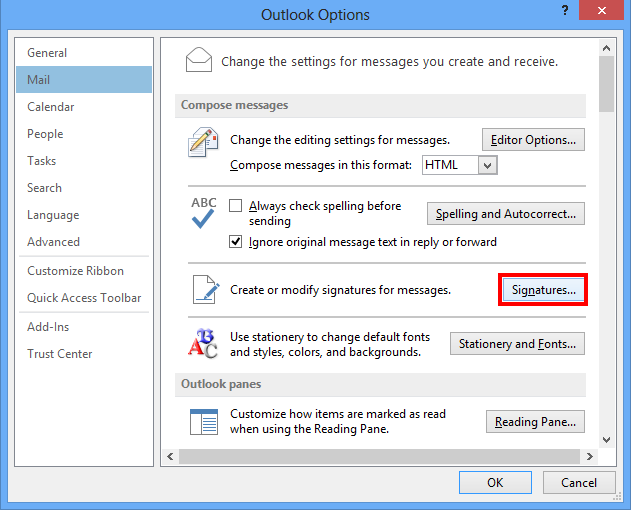 Click the File tab in the Outlook 2013 menu, then select Options.